Just now our research team has found out that a newly crafted browser hijacker has been roaming the web. It is known as istart123 Homepage. Thus, if you have experienced suspicious changes within your web browser, this hijacker is likely responsible for them. If, unfortunately, this is the case make sure to remove it without any hesitation as it holds no beneficial features, and will only make your online experience an annoying and frustrating one. In most cases, users might not be aware that they have allowed the installation of this hijacker to take place. In order to avoid such situation you should take a few preventative steps; we provide a few security tips below that you should follow. Additionally our team has crafted a detailed removal guide that will help you delete istart123 Homepage in a quick and easy way. Make sure to use it right now if you wish to regain the standard settings of your web browser. 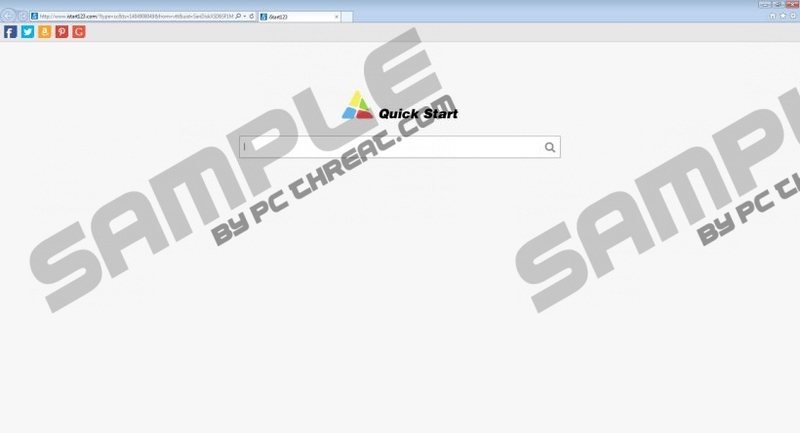 Once istart123 Homepage enters your PC, it does quite a few things within your web browser. It will firstly change your default homepage and search engine without any notification. It is important to note that the hijacker will affect major web browsers such as Google Chrome, Mozilla Firefox, and Internet Explorer. This means that no user can feel entirely safe. So it is not surprising that malicious program will change the Target lines of these browsers as well. Additionally it will implement suspicious third-party browser add-ons. All of these changes will make surfing the web the way you are used to virtually impossible because you will not be able to use the preferred search engine; instead you will be forced to use a new, suspicious one. This is the same with a homepage since you will be forced to start each browsing session on a questionable third-party website. Annoyance and frustration will continue to be the primary experience while surfing the web unless you conduct a complete removal of istart123 Homepage. Since there does not exist an official website that would provide a direct download link to istart123 Homepage, it is not surprising that it is mostly spread via bundled installers. Such installers are mainly distributed on suspicious third-party download websites; thus it is quite reasonable that we firmly believe that such site should be avoided at all times. You should download your software from official vendor’s websites only as it is your best bet to get an installer that does not contain additional, suspicious software. Also, make sure to have an active malware detection and removal tool on your computer at all times, since only a professional antimalware tool can ensure total virtual security of your PC. The removal is a procedure of multiple steps and might seem quite complicated at first. But if you follow all the steps carefully you will be able to get rid of istart123 Homepage once and for all. It is important not to make any mistakes since only a single one could mean that the infection was not removed entirely. If you think that manual removal is not the best thing for you, then our malware researchers firmly advise you to remove istart123 Homepage with a help of a professional antimalware tool. Click the Reset Firefox button again to confirm the process. Start your web browser and tap Alt+F. Right-click istart123 and select the Uninstall option. Find the affected browser and right-click it. Select Properties and click the Shortcut tab. Locate the Target box below. The line should end with iexplore.exe, firefox.exe or chrome.exe. Delete any additional text and click OK.
Quick & tested solution for istart123 Homepage removal.